As Walmart and Flipkart came together to script the world's largest e-commerce deal, a number of smaller players on the periphery of the segment looked on nervously. With Flipkart and Amazon India now having the financial might of the rich parents to fuel them, where does that leave the likes of horizontal e-commerce players such as Snapdeal, ShopClues, Paytm Mall, and vertical-specific players? For starters, survival and scale have just got a fair bit tougher. “The smaller horizontals are already struggling,” said Anil Kumar, chief executive officer of RedSeer, a consulting firm on internet businesses. "Walmart is strong on private label merchandise. We will see a completely different basket on Flipkart a couple of years from now. Companies like Snapdeal and ShopClues will be in an even tougher position." After its failed merger with Flipkart last July, Snapdeal is currently in the process of finding its feet again. A major tweak in strategy has seen it pivot to selling high-frequency, low-ticket products. Once a unicorn, Snapdeal has been hiving off its various acquisitions and divesting assets to cut costs even as the company is struggling to compete with other second tier e-commerce companies like ShopClues and Paytm Mall. Snapdeal welcomed the Walmart-Flipkart deal on Wednesday, saying it reflected the "immense potential and attractiveness" of India's e-commerce sector. But it made a telling follow-up comment. “We hope that this new and other existing entities will work as genuine and lawful marketplaces - supporting and not displacing small sellers,” said a Snapdeal spokesperson. Gurgaon-based e-commerce marketplace ShopClues, which recently laid off 52 employees from its marketing and operations verticals, has long been open to merging with bigger e-commerce players in the country. ShopClues’ last major funding round was in January 2015 when it raised $100 million (Rs 620 crore) in Series D funding round from Tiger Global and existing investors. Since then, it has only struck significantly smaller ad-for-equity and venture debt deals. “This [Walmart-Flipkart deal] is also a great endorsement of the large opportunity that the Indian market presents as well as the mettle of the Indian entrepreneur,” said Sanjay Sethi, co-founder and CEO of ShopClues. "It also proves that there is a lot of money to be made in the Indian startup ecosystem." But the outlook isn't exactly rosy for ShopClues. The non-metro focused marketplace that primarily sells unbranded items will have to contend against Walmart’s white label merchandise and sourcing heft, not to mention Amazon's largesse. “Walmart is extremely strong in the supply chain, white label merchandise and sourcing. That will make it even more difficult for smaller players to compete with the top two players,” said K Ganesh, a serial entrepreneur and founder of venture building platform GrowthStory. "There are no two ways about it: a cash-surplus parent company can easily compete with a player that has to be in the market constantly for fundraising. It is an unequal competition for Snapdeal and ShopClues," he added. Then there is Paytm Mall, which has had no trouble raising money. It became the newest member of the unicorn club when it raised $446 million last month from Japanese behemoth SoftBank and Chinese e-commerce giant Alibaba. Despite its lofty valuation, Paytm Mall is still playing catch up to e-commerce rivals Flipkart and Amazon. Walmart’s takeover of Flipkart and the $2 billion equity commitment into the entity makes Paytm Mall’s task of keeping pace even more difficult. “Alibaba will have to push them up even more now. A clear picture on Alibaba’s Indian e-commerce ambitions and Paytm Mall’s future will be clearer in a couple of years,” said Redseer’s Anil Kumar. Vertical players have long been fighting the e-commerce battle against the top two horizontals and have been fairly successful in preventing a duopoly, thanks to their focus on quality delivery and customer experience. 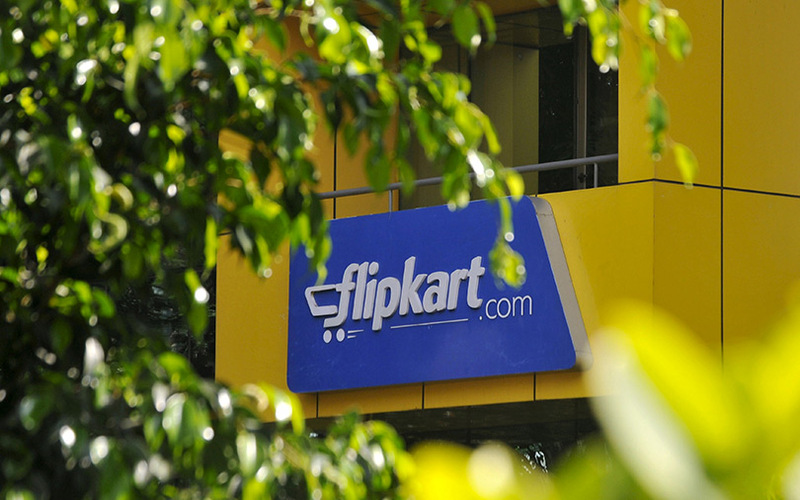 Despite the disproportionate financial and market privileges that both Flipkart and Amazon enjoy, clear leaders have emerged in several verticals such as grocery (BigBasket); furniture (UrbanLadder, Pepperfry); jewellery (CaratLane, BlueStone), beauty (Nykaa), baby products (FirstCry), eyewear (Lenskart) home décor (Livspace), lingerie (Zivame). While the arrival of Walmart is not expected to change those dynamics anytime soon, it is bound to have some effect. “The smaller players in many cases are more agile and open to new business models,” Adrian Lee, research director at Gartner said. "They should concentrate on specialisation within their domains to build a valuable cache of users seeking differentiated retail experiences." Industry experts say these companies have the advantage of specialisation where they continue to innovate, create sub-categories, experiment with pricing not based on discounting, offer better warranty and return policies and ensure top-notch delivery services. “There is a reason why Flipkart and Amazon are not strong or market leaders in large verticals like furniture or grocery. I don't see a reason for change in that scenario post this deal. Both these large players had enough money already anyway if they wanted to ambush the incumbents,” K Ganesh said. Many of the vertical leaders have already embraced the omnichannel strategy, opening offline stores to protect their territory besides creating clear identities that help them sell across channels. Experts also say that as more and more customers seek personalisation and customisation of their online shopping experience, the demand for niche products and the desire for a value-based over volume-based buying experience will only keep the vertical players relevant and growing. Is niche the only way forward?